Cracking the whip on unruly MPs, Speaker Sumitra Mahajan has suspended 45 Lok Sabha members belonging to the TDP and the AIADMK since Wednesday after they created a ruckus in the House and continuously disrupted proceedings for days. "I warn you, I will take your names. You have come to the Well and are persistently creating trouble," she said. "You are willfully obstructing the proceedings of the House. I am, therefore, constrained to name you and suspend you for four consecutive days," Mahajan said. When the House met again at 2 pm, some members continued to protest in the Well despite being suspended. She then suspended two more TDP members for disrupting proceedings. 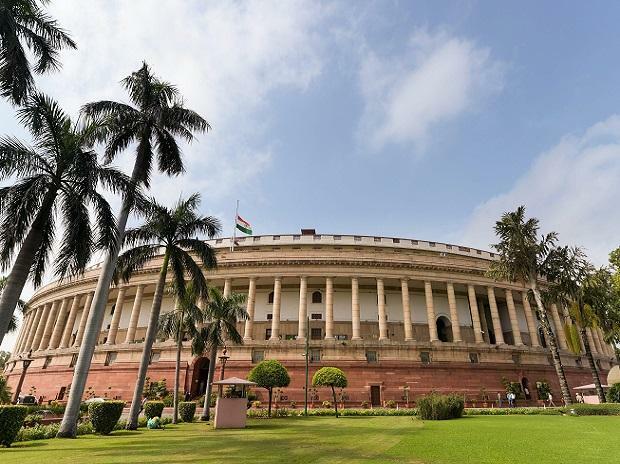 Amid the din, the House was adjourned for the day without taking up the remaining part of the debate on the Rafale issue. Meanwhile, some pictures being shared on social media purportedly showed TDP members standing on the Speaker's podium and holding placards when the House was adjourned soon afternoon.